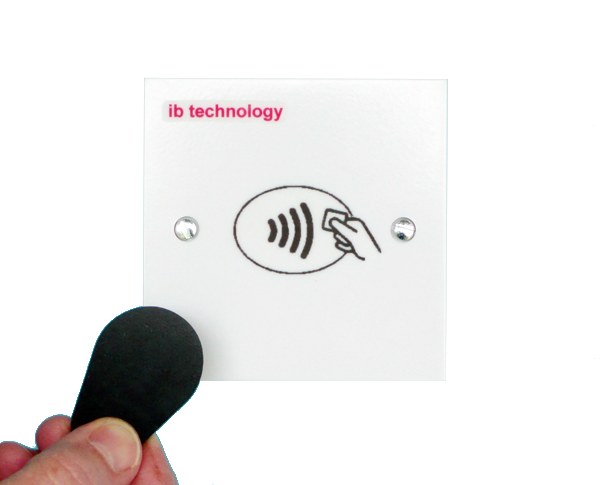 Our client needed to switch mains electricity using a contactless tag or “token”. This application required a secure, “weatherproof” and “tamperproof” solution that would only operate with specific tags issued to authorised users. The solution had to be mains (240V AC) powered, simple to use and be very cost effective. Traditionally this was done using key switches or contact based (EEPROM) keys and iButtons that were unreliable in difficult environmental conditions and open to abuse. The proposed solution was to use an RFID Smart Switch solution with key fob style tags. The system would have to have a total build cost of USD 5–10 depending on volume and be simple to manufacture and use. The “Switch” would have to accommodate up to sixty users, each one having a tag with a unique serial number. The system would also have to have a “learn” facility to add new user s or delete existing tag ID without any external buttons or host interface. The tag technology used would have to incorporate security and encryption to prevent tags from being cloned or copied and the design would have to be power efficient and use an RFID Reader solution with very low current consumption. Finally, the system would have to be flexible and use a volt-free relay so mains electricity or low voltage DC could be controlled and would have the ability to be extended to include timed ON/OFF periods for different applications in the future. ibTechnology designed an RFID Smart Switch based around the RWD-HITAG1/S Reader design using a transformer-less power supply design to reduce component count and cost to a minimum. The PCB fits behind a standard wall “face plate” and the design incor porates best practice design and layout for global approval. Within the limitations of the transformer-less design, the Smart Switch is power efficient and the RFID Reader circuit itself has a very low average current consumption of around 200uA (micro Amps). 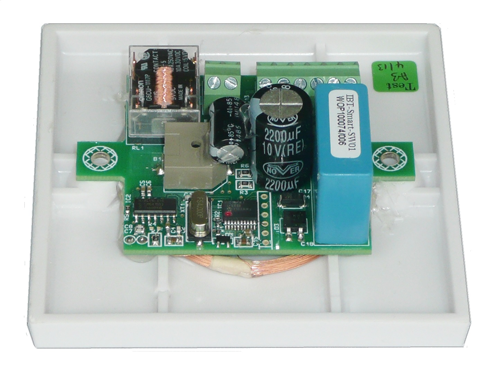 The Smart Switch uses a bi-stable Relay to further reduce current consumption and a Green/Red Led to indicate ON/OFF status. The Reader uses HitagS based tags and relies on the IBT “dynamic” encr yption system (that encr ypts data using the unique serial number as a seed) to ensure only “branded” tags can be used and the system remains secure, so tags cannot be “read” or cloned”. The Smart Switch can store up to sixty unique 32-bit serial numbers (tag ID) in its internal memory and a “Master tag” allows access to a learn facility to store new tag ID and clear the existing user list. This allows flexibility of use so the RFID Smar t Switch can even be used as a Mini Access Control system for up to sixty users. The system has been future-proofed and can be extended to have programmable ON times and different timing functions based on parameters stored on the tags themselves so no user configuration is required. The Smart Switch design can accommodate different mains supply voltages and can be modified to fit different electrical face plates or a custom housing.